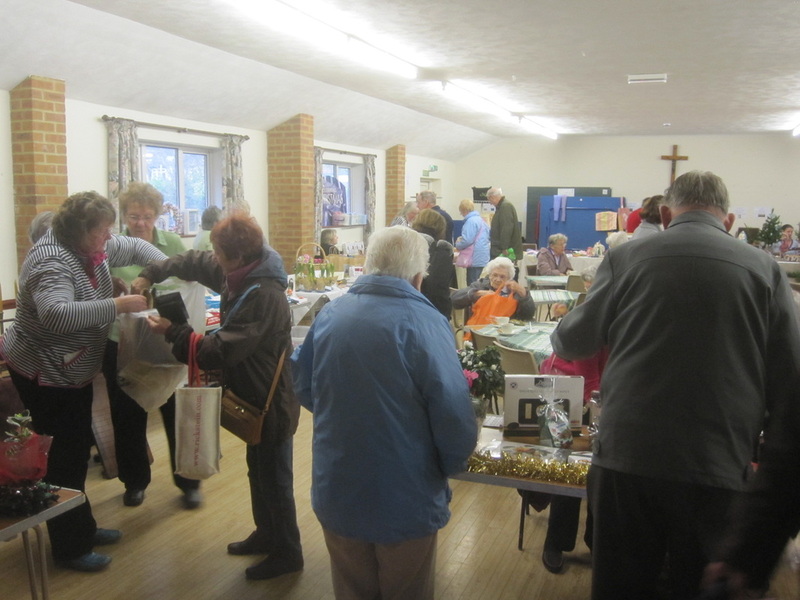 Another very successful coffee morning was held at St Martha's Church on 22 November 2014 and our thanks are due to those who helped make it possible also to those who supported us and helped make it so successful. We made a profit of £292 which will help to offset the ever increasing costs of speakers, accommodation etc. Eric's report below. Entering the hall it sounded as if a musical evening had been planned but it was just an attempt to achieve a congenial and relaxed atmosphere for the AGM. This seemed to be successful with reports and business being swiftly and the unanimous approval of an increase in subscriptions of £1 for both members and visitors. Apart from Gloria and Lal, who after many years of organising the monthly and annual flower shows, stood down for a well deserved rest, the remainder of the committee were re-elected with the addition of Dawn Muirhead who had been co-opted during the year. The chairman's report is published separately. After the interval, Roy Collins, our Police Community Support Officer, showed a very informative but worrying DVD on the scams that seem to be continuously circulating. Most of these 'you have won a prize in our free draw but we must have you bank details to transfer the money, you must win with this etc. etc. stem from abroad and are difficult to stop. Many of us have also received calls offering help in claiming for non existing accidents even if we don't own a car! First thoughts were to rush home and disconnect the phone and block up the post box but this could be impractical! The best advice is that if you receive any 'cold' phone calls or post offering something that appears 'too good to be true - it isn't true' Contact family, friends or Roy (click here for contact details) for their opinion and advice before taking any other action. A very useful and productive evening. Our last meeting of the year is a members only party and we look forward to seeing you there.